One of the top compliance officers at General Electric has jumped ship to Google after 13 years at GE — the latest and most high-profile in a long list of compliance officers leaving GE over the last 18 months. Alfred Rosa had been chief compliance director at GE since 2011, essentially running GE’s global compliance program and overseeing more than 400 other compliance officers. Rosa will now be director of ethics and compliance at Google, where he will run compliance training, third-party due diligence, privacy and antitrust concerns, and general “compliance oversight over the broader Alphabet enterprise,” according to his LinkedIn profile. Professionally the move makes a lot sense for Rosa (whom I’ve met several times, and who is a sharp, engaging person). He’s moving from one sprawling conglomerate to another, and Google has a large presence in Boston just a few subway stops away from GE’s headquarters. Plus, frankly — GE is a strategic mess, while Google has a bright future. If you had retirement 10 to 15 years in your future, which employer would you pick? Sept. 7, 2018: Maria Gonzalez Calvet left her job as General Electric’s executive counsel for global investigations to become a partner with Ropes & Gray in the law firm’s D.C. office. 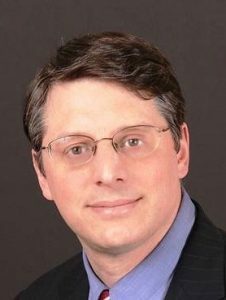 July 20, 2018: Richard Breunig left GE after more than 15 years in numerous compliance roles at the company, to join global automation company ABB as its compliance attorney in New York. May 18, 2018: Sebastian Torres, executive counsel for GE’s regulatory and compliance issues in Latin America, took a job as chief compliance officer at YPF Energía Eléctrica. May 4, 2018: Marta Martini, who held various compliance roles at GE Oil & Gas since 2011, left to take a job as senior compliance officer for Credit Suisse in Zurich. April 20, 2018: Jeffrey Stitt left General Electric after 28 years at the company, almost all of them in corporate audit, compliance, or finance roles. He had been global chief compliance officer for the steam power division of GE Power November 2015. These days Stitt is head of compliance for Hillenbrand. April 6, 2018: Kaarli Harry Eichhorn departed his job as competition counsel with General Electric in Brussels to join law firm Jones Day. Feb. 23, 2018: Olga Silva moved to Microsoft to be controller for its European operations. She previously spent 15 years at General Electric in various finance roles, most recently as the Europe cash leader for GE Healthcare. October 2017: Rob Shoemaker left GE, where he was chief compliance officer for GE Water & Distributed Power, to be chief compliance officer of SUEZ Water Technologies. Shoemaker previously spent 18 years in various GE compliance roles. February 2017: Peter Bernstein left GE after four years in compliance roles there, to be senior investigative counsel at MasterCard. I’m sure other compliance & ethics staff have departed GE in the last 18 to 24 months, too. Is it an exodus? Numerically, that’s hard to say. Rosa ran a compliance function of more than 400 people, and no doubt there were other employees doing ethics and compliance tasks even if they worked in other departments. Ten of those people churning out over a two-year period is not statistically significant. GE stock in red, Google in blue, 2014-2019. Where would you rather work? Still, we can’t ignore the larger problems plaguing General Electric either. The company made a lot of strategically unwise bets under former CEO Jeffrey Immelt. Broadly speaking, GE’s industrial business units muddled along in the 2000s, but that lackluster performance was hidden by the stellar financial performance of GE Capital — until the financial crisis in 2009. Once GE Capital stopped churning out profits, cracks started appearing all over GE’s operations in the 2010s. 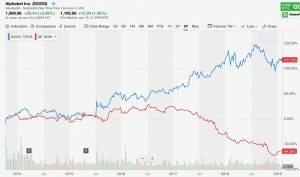 Immelt was replaced by John Flannery, who lasted barely a year; and current CEO Larry Culp talks about strategic reviews and divestitures so much you have to wonder whether anyone will still recognize GE by 2025. None of those issues are a reflection of GE’s ethics and compliance function. Yes, GE has had its share of misconduct problems, but that’s different from poor executive leadership and bad strategy that brought GE to the messy place where it is today. If you’re a highly skilled, experienced professional — and most corporate compliance officers fit that description — looking elsewhere for more career security is easy and sensible. Next obvious question: who is running ethics and compliance at GE now? The company formally lists general counsel Mike Holston as leading the compliance function, but general counsels as nominal heads of compliance don’t count, so we’ll keep inquiring. Meanwhile, Rosa — if you’re reading this, Google’s Boston office is walking distance to my house. If you do a location search for a good coffee shop, I’ll buy the first cup.